Fictional characters from movies, comics, manga, television programs, literature and video games are created in a simulated battle to the death. 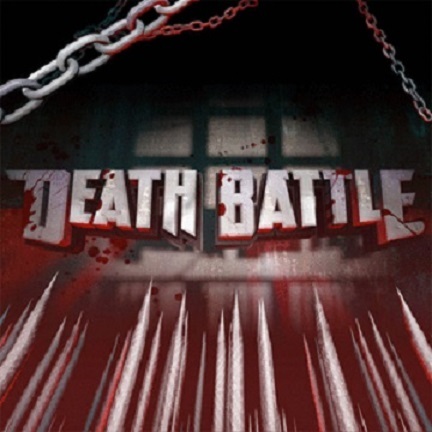 Death Battle is a Youtube series which has one case study to put two or more characters ,usually from comics, films, video-games, anime and TV series and put them fight each other gladiator style to the death. And it rocks! The hosts Wiz (Ben Stiller) and Boomstick (Chad James) really put themselves in to the project and they and the rest of team do their best to find almost anything about the characters in each fight and how that skill or weapon would effects the match. This in depth look ,made me love the show for it takes the silly idea of primary school and examines it in a analytical yet hilarious manner. And thanks to this series you get to know series, video-games or films that had passed under your radar and then after watching the fight you can go and find out and enjoy it yourself. That is how I learned about Spawn the series, Gamera, Gundams and many more. Also as for the style sometimes it in pixel form, others 3D, either way is addictive and definitely worth watching even if you disagree with the final result. All in all is on Youtube ,it worth your time and definitely go watch them all! Okay, the opening was a Joss Whedon reference but this show basically operates on that very principle. 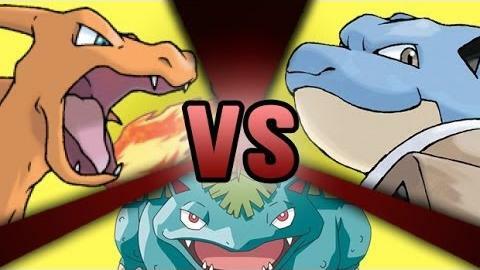 All the nerd discussions about who would win in a fight is basically what this show is in a nutshell. Each episode has 2 characters who are relatively equally matched such as The Master Chief from Halo and The Doom Guy. They analyze weapons, armour, skills from a relatively unbiased angle and animate them fighting until one is left standing. I will say watch the later ones first because the earliest ones like Harry Potter Vs Luke Skywalker has a health bar like Mortal Kombat, it just takes away some of the fun for me. Oh and I'll also suggest only watching the ones if you know at least one of the characters that are in the fight. To me the worst episode is Ragna Vs Sol Badguy because I have absolutely no idea who they are, I've never heard of what they're in and while the jokes at the beginning when they're analyzing what they can do is funny and the animation is pretty good for a low budget web series I'm not invested in any of it because each fight starts with the thought process of "Here's a reason for them to fight. Now they'll duke it out!". So if you're one of those people that's curious about fictional characters fighting to the death, this is worth a look.